"Planes, Canes, and Automobiles" by Valerie M. Grubb. 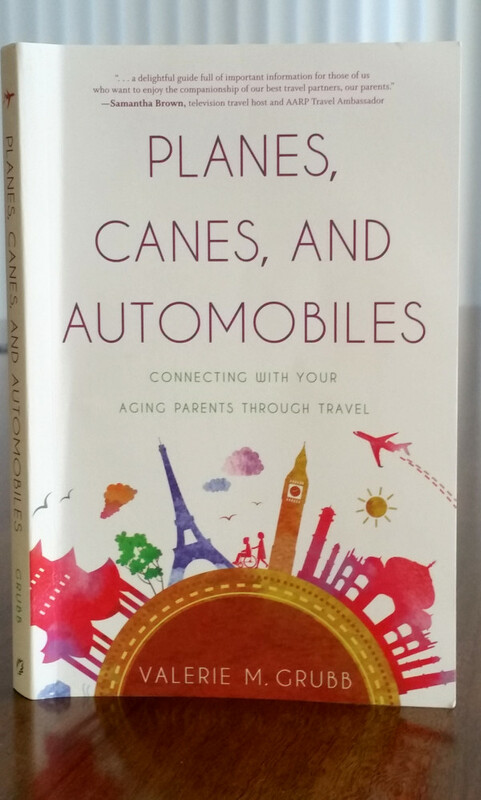 “Planes, Canes, and Automobiles: Connecting with your aging parents through travel,” by Valerie M. Grubb, Greenleaf Book Group Press, Austin, Texas, 232 pp., $16.95. Val Grubb’s family enjoyed many trips and vacations together over the years, but those opportunities came less often as she and her siblings grew up and moved into their adult lives. Shortly after her father’s sudden illness and death 10 years ago, the family took a sort of memorial trip to Washington, D.C., a city he had long wanted to visit on a family vacation. Determined not to repeat that hard lesson, Grubb, who lives in New York City, made a commitment to travel regularly with her mother, who is now 85 and lives independently in Indianapolis. A decade of their travel experience provides the basis for this practical, insightful and warmly affectionate book. In the first chapter, “Understand That Things Have Changed,” Grubb discusses changes in physical stamina, health and emotional stability that often accompany aging, along with the changeable nature of the caretaking role that can lead to tensions and anxieties on both sides. She also touches on the importance of what she calls “the taboo topic” — money — which she explores at greater length further on in the book. Grubb, who maintains a blog called Travel with Aging Parents, makes a strong case. In addition to simply seeing a new part of the world, she says, travel lifts parents out of their day-to-day routines, builds confidence and counteracts depression. Most important, she says, travel develops a deep emotional bond built on shared discovery, cultural encounters and problem solving in novel conditions. Grubb and her mother have travelled to Cambodia, Australia, China, Italy, Hawaii and many other destinations. In her book, she deals with how to how to choose an appropriate destination and how to plan an itinerary that doesn’t overtax an older parent but still meets everyone’s need for adventure. Drawing on recommendations from a travel medicine specialist and a gerontologist, she has practical ideas for keeping a parent’s medication regimen on track while traveling through multiple time zones. She discusses flying with supplementary oxygen, accessing essential medical services, including dialysis, in foreign countries and how to anticipate and defuse emotional friction. Grubb recently returned from a multigenerational family vacation at Yellowstone National Park and is already planning her next adventure with her mother — a road trip to New Orleans. Here’s betting they have a blast.